A Drexel University professor whose tweets dissecting the Las Vegas massacre sparked a conservative media uproar has been placed on administrative leave. George Ciccariello-Maher, a tenured associate professor of politics and global studies, goaded his familiar foes with a series of statements condemning the deadly attack as an example of "aggrieved whiteness," an entitlement that drives white men to violence when the world doesn't bow to their fragile expectations. "It's the white supremacist patriarchy, stupid," Ciccariello-Maher tweeted on Oct. 2, followed by a line of argument casting blame for this condition on the rise of "Trumpism" in American political culture. Outlets from The Daily Caller and Fox News to Breitbart News, the Blaze and Infowars pounced on the professor's tweets, inviting a torrent of hate mail as the story went viral. Not that it was Ciccariello-Maher's first rodeo. The former Berkely professor first took conservative headlines by storm in Dec. 2016 after tweeting that all he wanted for Christmas was "White Genocide." Several months later, he was back in hot water for another tweet criticizing a man who gave up his first-class plane seat to an armed serviceman. 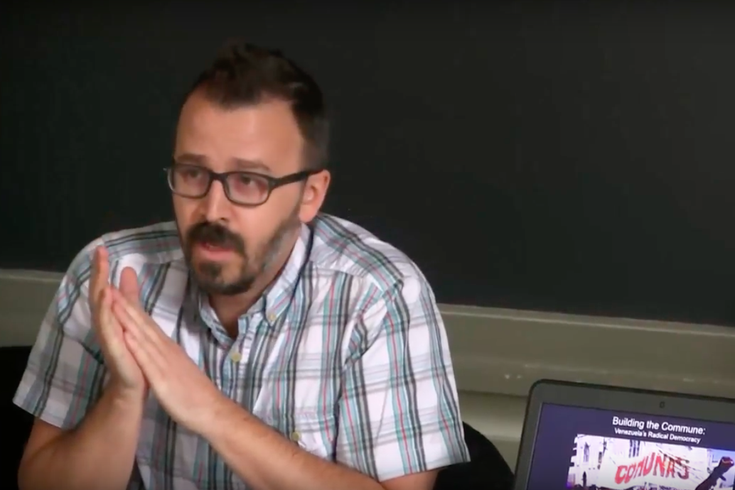 In a more measured perspective piece published Tuesday by the Washington Post, Ciccariello-Maher explained that what he felt were "relatively uncontroversial" tweets ended up disrupting the learning environment for his students at Drexel. I am by no means the first, and will not be the last target of this kind of smear campaign by conservatives aimed at academics. In every case, it is the same right-wing media outlets leading the charge, and campuses are increasingly the target. Universities and colleges have become the perfect target for such crusades: Purportedly hotbeds of multiculturalism, “safe spaces” and political correctness, campuses represent everything the resentful right is afraid of. Ciccariello-Maher, who said he was placed on administrative leave in response to the threats he's received, cites several examples in recent years of professors facing heavy scrutiny and discipline for remarks aimed at stimulating contemporary debate. With Trump in office, he claims, the door has been fully opened to an all-out assault on academic freedom. "By bowing to pressure from racist internet trolls, Drexel has sent the wrong signal: That you can control a university’s curriculum with anonymous threats of violence." Read the full piece over at The Washington Post.